In a large mixing bowl, combine chicken, grated cheese, egg, basil, parsley, garlic powder, salt, red pepper flakes, fennel and bread crumbs. Using your hands, mix all ingredients until incorporated. Measure meat mixture into approximately 1.5-ounce portions. 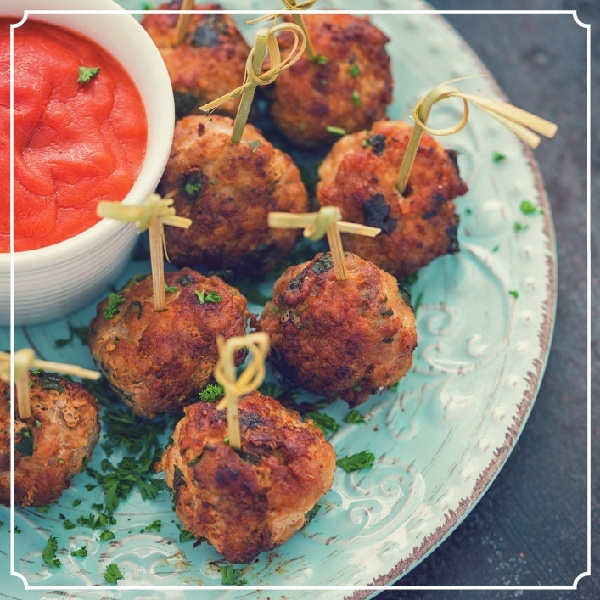 Shape into rounds and place the meatballs in individual, miniature muffin tin cups. Bake for 20 minutes or until golden and cooked through. Serving suggestions: Toss in a light marinara before serving and sprinkle with additional cheese.